Arrival at Moscow. After you have cleared immigration , you will be met by our local representative who will transferred you to the hotel. you will have the day to yourself, to relax or explore this cleanest and charming city. Enjoy the dinner. Overnight at Moscow hotel. 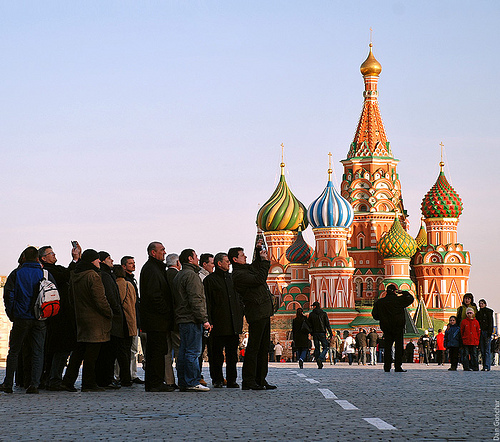 After breakfast, we will take you for the city tour + Metro tour in Moscow. In the afternoon you can explore the city on your own. Enjoy the dinner. Overnight at Moscow hotel. After breakfast, you can go to kremlin territory with 1 cathedral tour (optional at own cost). Day is free at leisure. Enjoy the dinner. Overnight at hotel. After breakfast, we will drop you to the railway station to catch your train from Moscow to St. Petersburg (approx time 4 hours) by high speed train. After alighting from the train in the afternoon, you will be met by our representative & transferred to the hotel in St. Petersburg. Enjoy the delicious dinner . Overnight at hotel in St. Petersburg. After Breakfast, we will take you for a city tour + peter & paul’s fortress. In the afternoon you can explore the city on your own. Enjoy the delicious dinner. Overnight at hotel in St. Petersburg. After breakfast, you will be checking out from your hotel at 1200 hrs. you will be picked up from the hotel and transferred to the airport to catch your flight back to home.